This white flowering vine is a show stopper in late spring and early fall when in bloom. Belle of Woking Clematis works extra hard for your garden in May to June with a strong first flush of white flowers and then again in September for another flush of white flowers. Great investment plant for your garden. A strong flowering and fast growing vine. 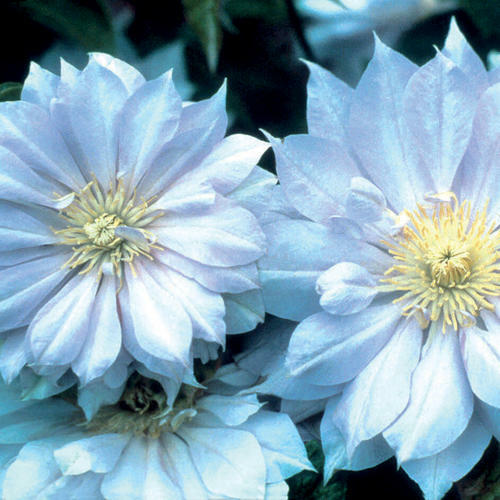 Easy to grow Belle of Woking Clematis. Belle of Woking Clematis is grown in a quart container. Orders shipping to AZ and CA addresses will be bare rooted before being prepped for shipping.